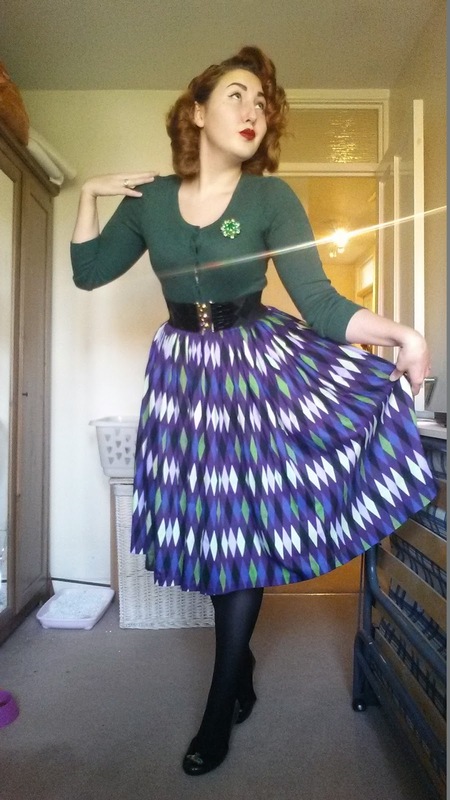 What I Wore Wednesday - Easter Edition! Here's what I've been wearing to celebrate the occasion. Suitcase for The British Belles Brighton Trip! I have been meaning to do this tag for SO long, and I thought what better opportunity than to show you what I had in my bag on the weekend of London Edge! After getting rid of the crumpled up tissues and loose change, this is what was left! Bag: Vivienne Westwood 'Divina' Saffiano Leather tote. Just a quick post to say that #jennyjanuary has begun, so put on your PUG and strut your stuff until the Sunday 18th! 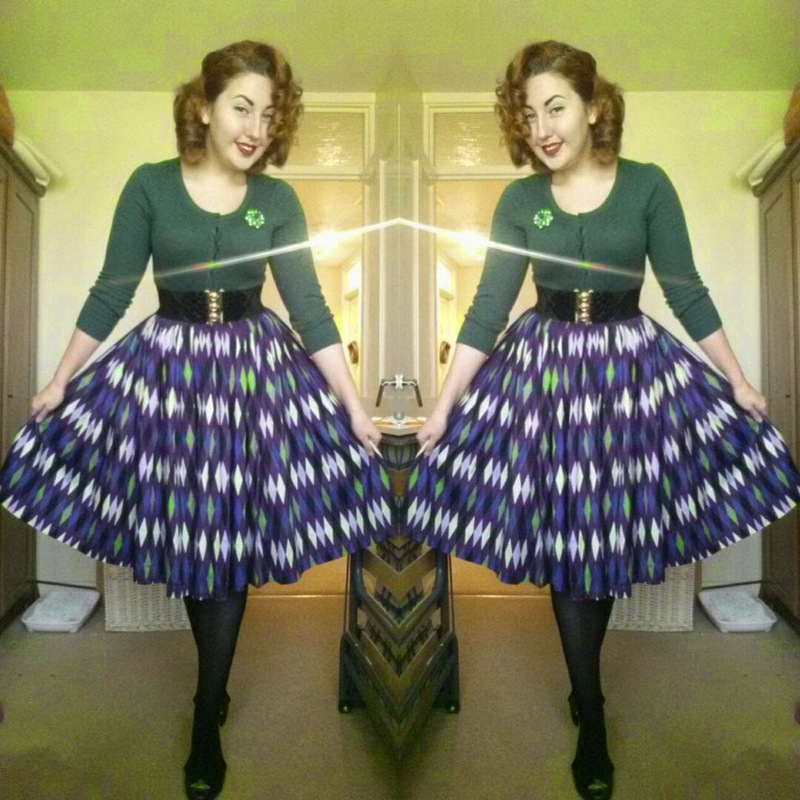 Amy (a.k.a @missamymay on Instagram, my beloved adopted wife and fellow British Belle) started Jenny January for everyone to showcase their gorgeous Pinup Girl Clothing 'Jenny' pieces! 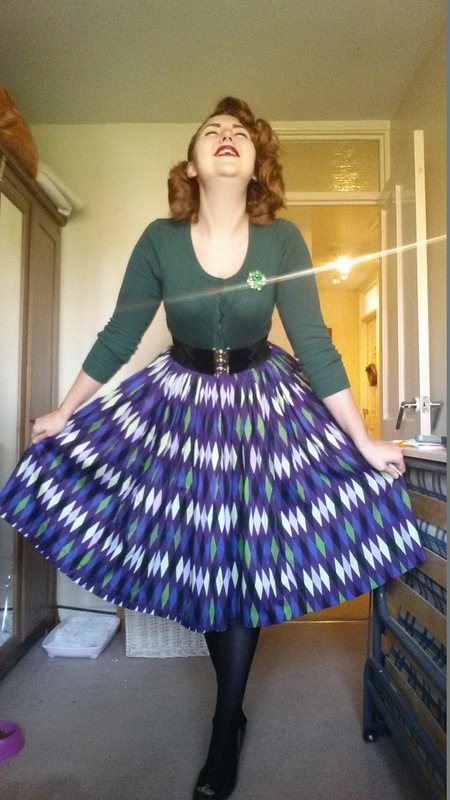 I sadly have only one Jenny item, my beautiful Harlequin skirt, so as it was my day off work, I popped it on and took some photos for you. Can you tell I was excited? 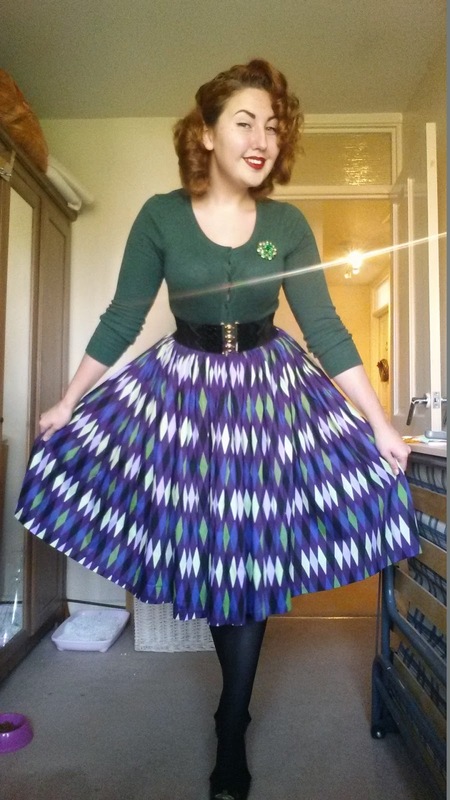 I decided to style it with a cardigan from H&M, a brooch that was gifted to me by my lovely boyfriend's parents for Christmas, a belt I found for £2.99 in a charity shop and my Vivienne Westwood/Mel shoes. Will you be taking part in Jenny January? Make sure to tag your pics! I'm coming clean. 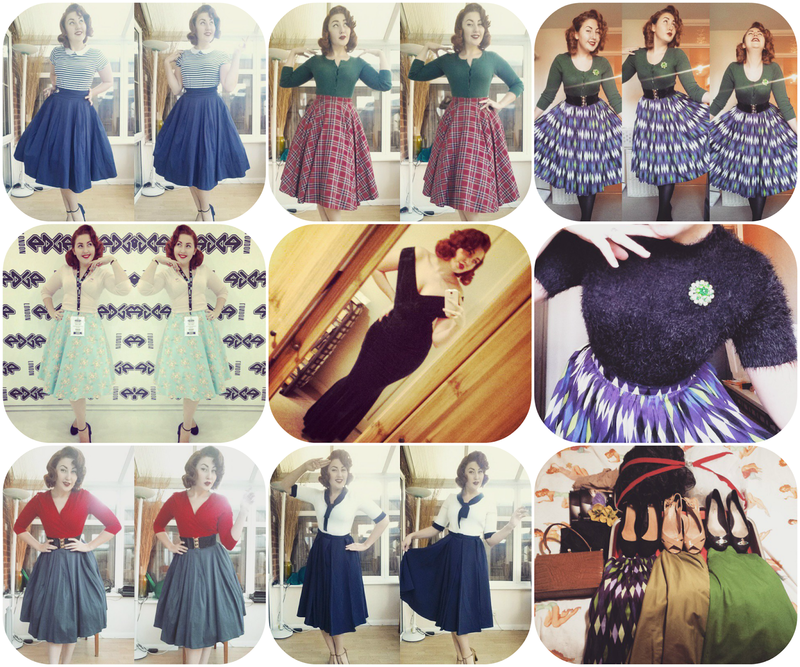 I think I'm a Lindy Bop addict... and this is just fueling the fire! A few weeks ago, I was lucky enough to win the Sunday Selfie competition on LindyBop's Facebook page, winning £100 of vouchers to spend. I didn't actually realise at first, and only found out when my beauties The British Belles told me on WhatsApp! Oops! I was absolutely overwhelmed and immediately had tab upon tab of beautiful dresses open on Google Chrome, oohing and ahhing at things I had been lusting after for so long. 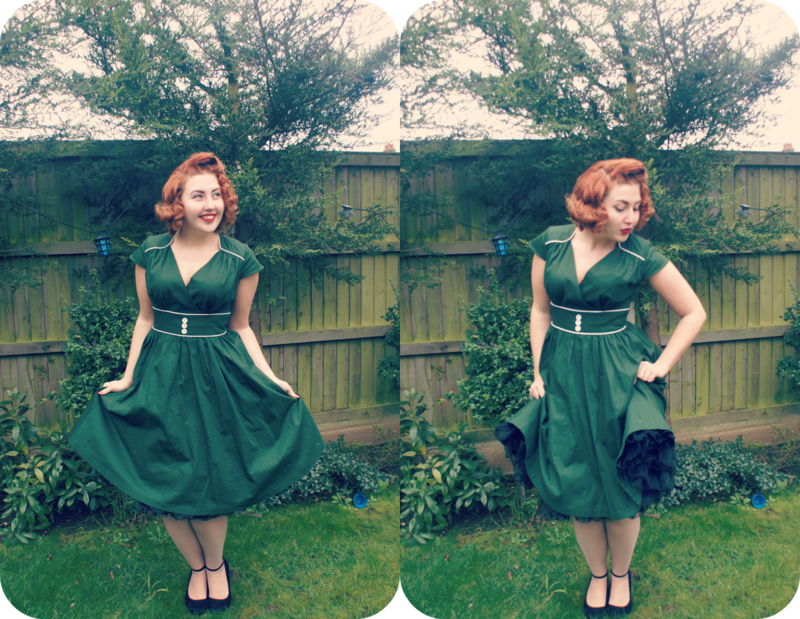 After much deliberation, these are the dresses I chose, and because of my new copper locks I though some gorgeous green dresses would be great new additions to my wardrobe! With less than a week to go until the big day, the automatic reflex of online shopping is all but a distant memory as last shipping dates are plastered across our screens. Remember that place called the Highstreet? Pay it a little bit of love this week, because it may just turn out to be your new best friend when picking out those last minute prezzies for those you forgot put too much thought in to. 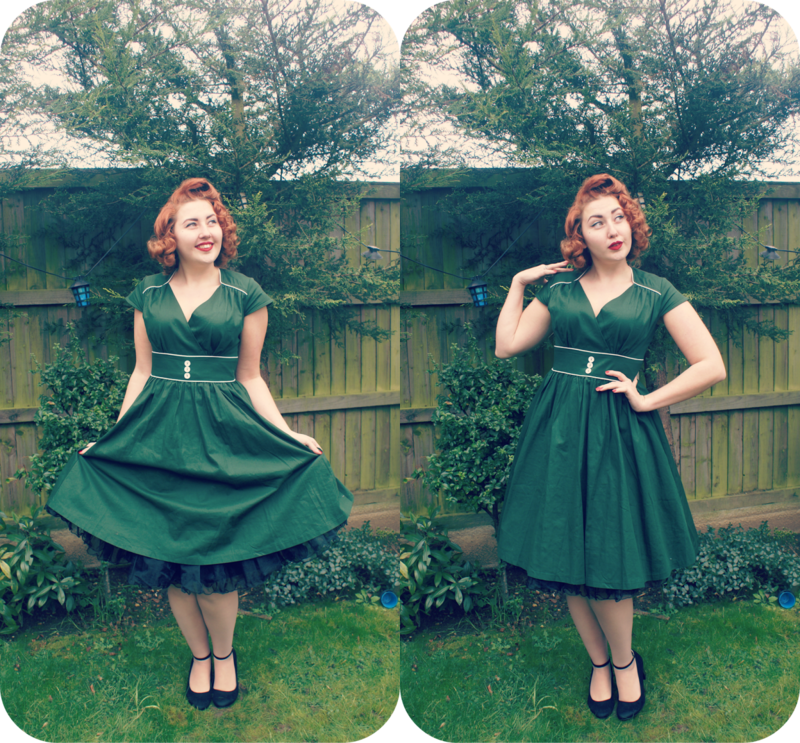 So here is my last minute High Street Gift Guide, of course, with a little Vintage inspired twist.